The first month of 2015 is almost done, can you believe it? January flew by and looking back there were six products that I used a lot, ranging from skincare to makeup. During the past month it was so hot that I had to shower in the mornings instead of at night, and I really enjoyed using this gentle exfoliator to wash my face with in the mornings (you can read my review on it here). It's an incredibly light and clean-smelling exfoliator with a gel consistency and small bead-like particles. With gentle application it won't hurt the skin. I use this pretty much every morning and my skin is soft, smooth and clear. This is a face as well as a body exfoliator, but I find it a bit mild for my body. I started using this day cream again this month after my beloved Clarins ran out. I've spoken about the Aqua Boost Sorbet here and here. The texture is cooling and refreshing, perfect for early mornings. It smells amazing and leaves my skin soft and smooth. 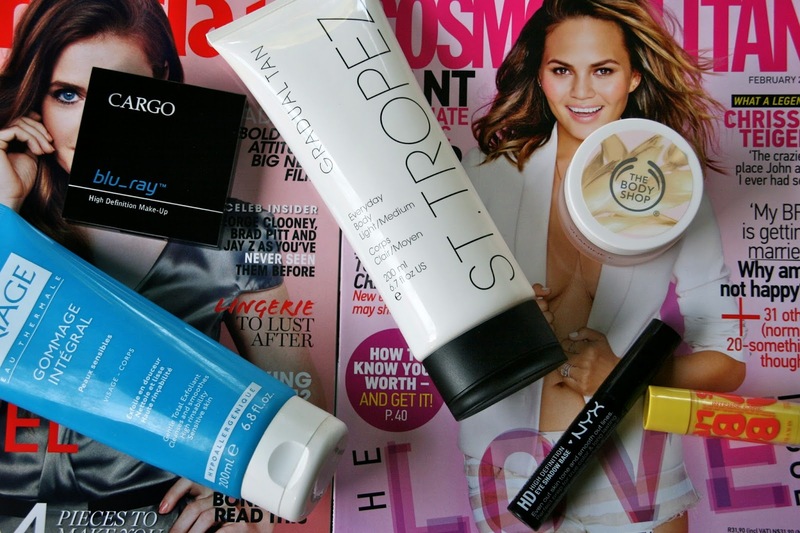 I think my fear of self-tan has been well-documented on this blog, but I absolutely love the Gradual Tan! Clicks recently had a 3-for-2 special on St. Tropez products which I took advantage of. The gradual tan is quite a thick and creamy caramel-coloured lotion that you rub into your skin like you would body lotion. You let it sink in and then put on your clothes. I use this almost every day after showering and it leaves my skin soft and with the most gorgeous bronze glow. After applying it it doesn't look like much, but the tan develops over a few hours. I also haven't had any trouble with patchy skin after a few days. It seems like BabyLips makes an appearance on my list every couple of months, and this time it's the yellow tube's turn. I started using this in December during the hot days and I've just finished it a few days ago. It has an almost creamy texture and smells fresh and summery. I was browsing a Clicks sale a few weeks ago when I stumbled upon a small section of Cargo sale items. I've never used Cargo products before and I don't think I've ever even stopped at the Cargo display. I bought this blush/highlighter because of 1) the amazing pale pink colour with the golden flecks, and 2) the classy black packaging. I can't remember the exact price, but it was around R180. The compact closes with a resounding click and is sleek and shiny. 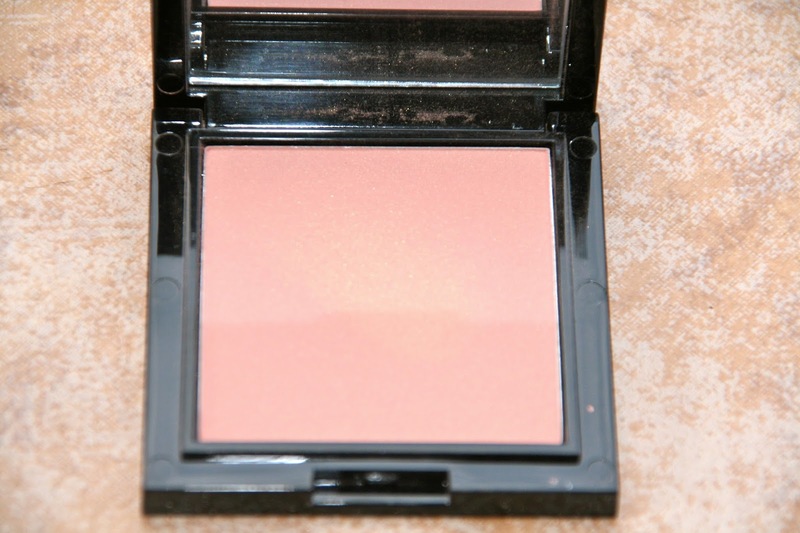 It houses a big mirror and the blush itself is super fine and buttery. This particular shade will be too dark for medium to dark skins, but for me it just adds the most amazing pop of pink to my cheeks. The gold is not sparkly or glittery, but adds a nice warmth to the skin. Almost in a The Balm's Mary Lou-Manizer kind of way. I haven't had it for long, but I've been using it pretty much every day since I bought it. I have had this for a few months but only started using it regularly at the beginning of January. It makes my eyeshadows last for more than eight hours, which, I don't think has ever happened. It comes in a thin tube with a doe foot applicator. 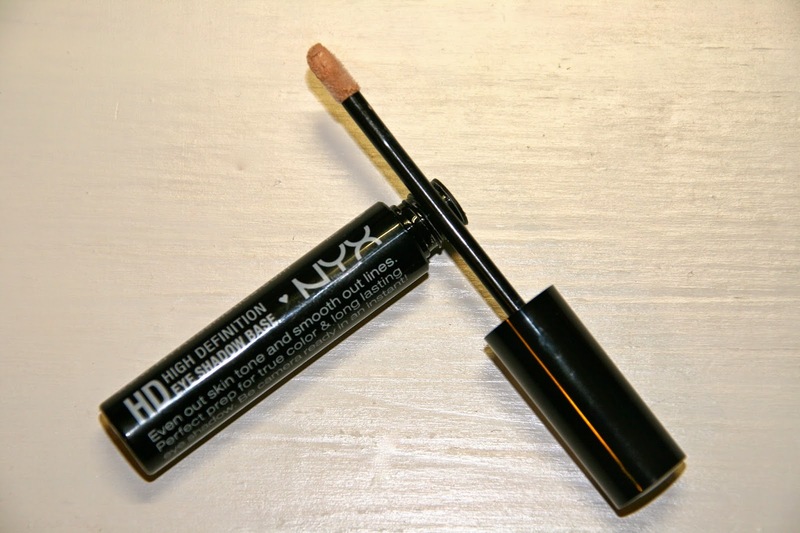 The primer is creamy and spreads easily across the eyelids. I think it might be better than the Urban Decay Eye Shadow Primer Potions, sssshhhhh. What were your favourites of the past month? Let me know in the comments section! 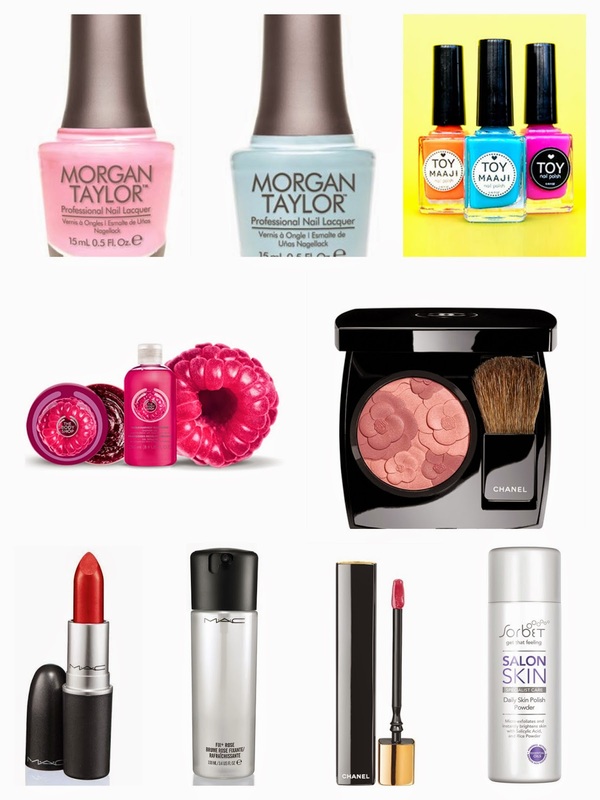 RetailBox #SecretBox 6 and a Giveaway! 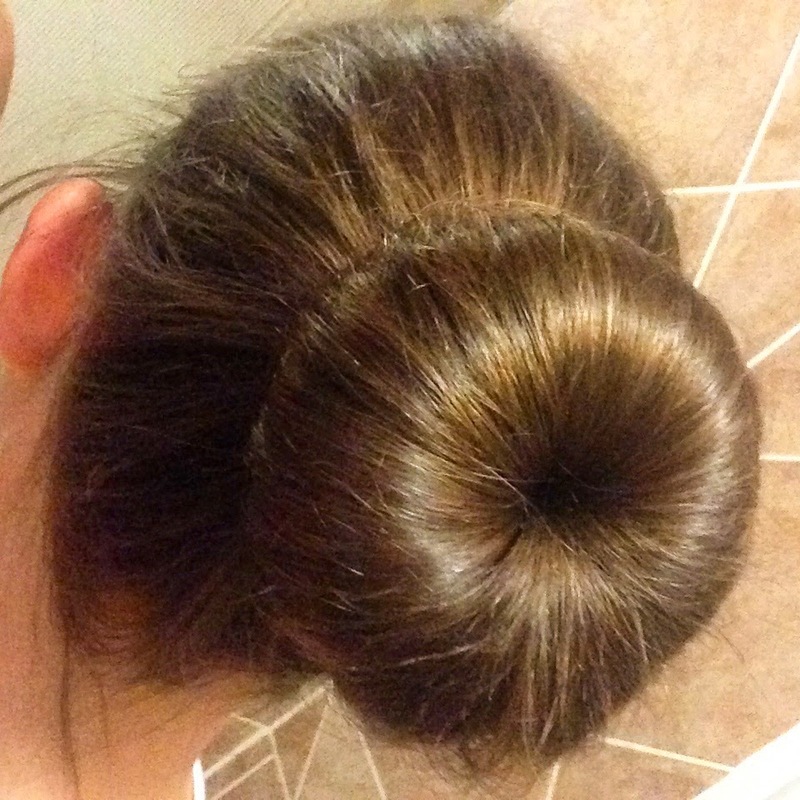 Those of you who follow me on Instagram will have seen the photos I posted last week of the RetailBox Secret Box 6 that I bought and the sock bun attempts after that (pictured above). 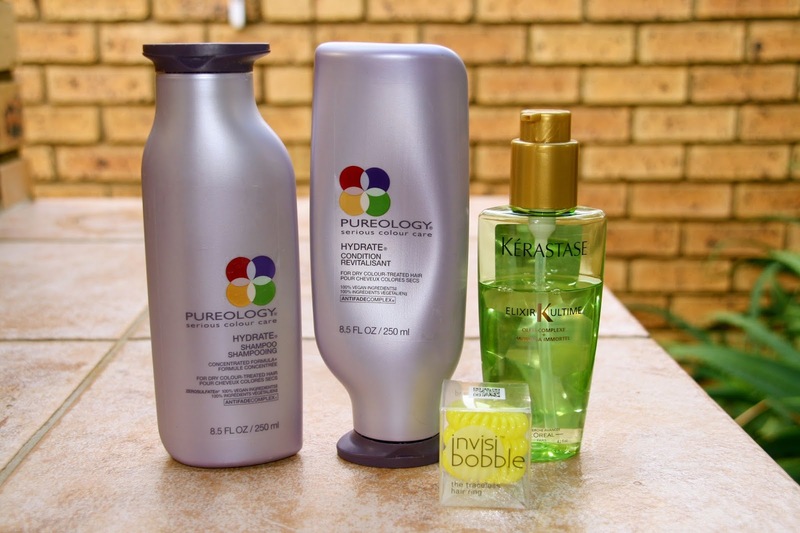 RetailBox is a relatively new online store that specialises in everything haircare. I have ordered from them a couple of times and I'm always pleased with the packaging, quality of the products, as well as the time it takes to get to me. They have everything from shampoo to GHDs and there is always something on sale. Orders above R500 qualify for free delivery. During recent months RetailBox have released a couple of Secret Boxes. What I love about RB's take on it is that the boxes are incredibly good value for money, and you get to choose which boxes you buy. There's no monthly subscription or repetition of products. Each time a Secret Box is released, they post it on social media and then everyone rushes over to the website to buy it. There is a short description on the web page saying who the box is for (damaged hair, blonde hair, girls who like up do's, and so forth). So you will always be pleasantly surprised. RetailBox will be releasing their next Secret Box very soon, so keep your eyes peeled! 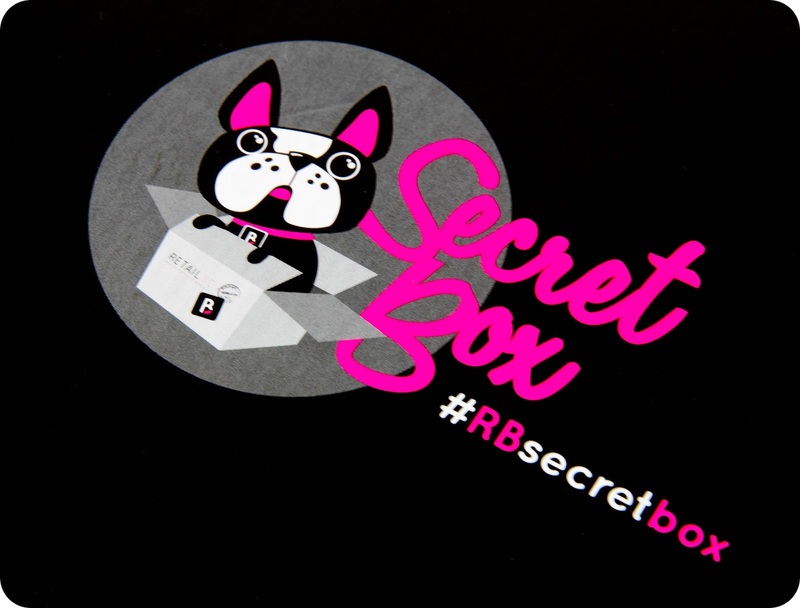 Tweet the following: "I want to win a #SecretBox with @Hildegarde_K and @RetailBoxSA." The competition will run until Wednesday 28 January 19:00 and the winner will be announced on Twitter later that evening. Good luck! On Monday I showed you the first half of my wish list, and today I'm featuring the rest. 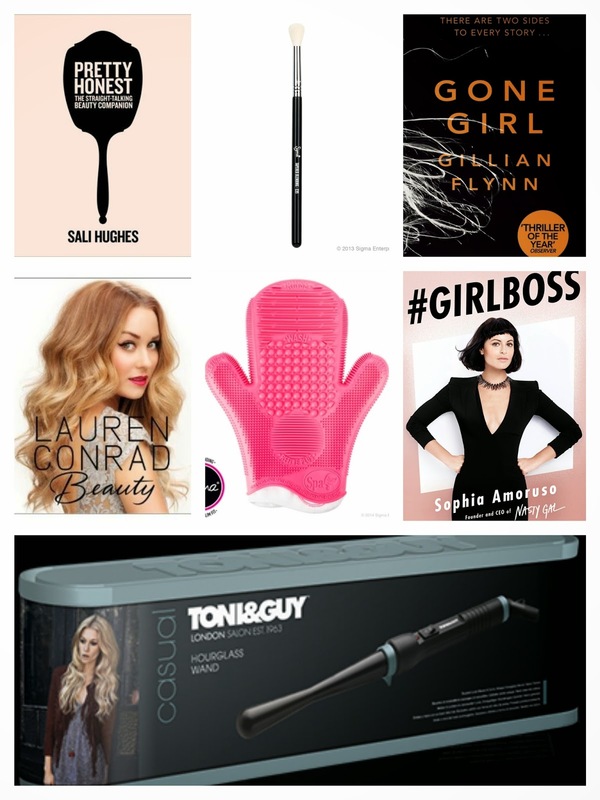 Books: Pretty Honest - Sali Hughes, Gone girl - Gillian Flynn, Beauty - Lauren Conrad, #GirlBoss - Sophia Amoruso. Sigma E35 blending brush (R290 at Turquoise Studio). Sigma Spa X2 Brush Cleaning Glove. Available at Turquoise Studio for R625. Toni & Guy Hourglass Wand. Available at Clicks for around R350. Other non-beauty related goodies I can think of are clothes and accessories. As mentioned in the previous post, I am besotted with the tropical trend, so anything with flamingos, pineapples, and/or palm trees makes my heart beat a little faster! For clothes I'm really not fussy. I normally shop at Mr Price and I wear a medium in most instances. I love dresses, cute tops, and funky PJs. I hope you enjoyed reading my wish lists! What would you put on your wish list? I posted a photo on Instagram about a week ago and asked if anyone wants to see my birthday wish list that I started compiling. A number of you responded that you would like to see it, so here it is! There are quite a few things on my wish list, whoops, so I've decided to split it into two. The second post will follow on Thursday. Morgan Taylor polishes: Candy coated coral, Lip service, Mint chocolate chip, New romance (pictured), Water baby (pictured). You can find these at selected Dischem stores as well as several online shops such as Kalahari.com, Takealot.com, and Retail Box. Toy polish: Mandarina, Tiger popsicle, Neon lover, Blueberry moon, Minty sparrow, Apple smoothie, Amarelo castelo, Diamond cocktail. Available at Toy Polish and Retail Box for around R99. Pretty much anything from The Body Shop. 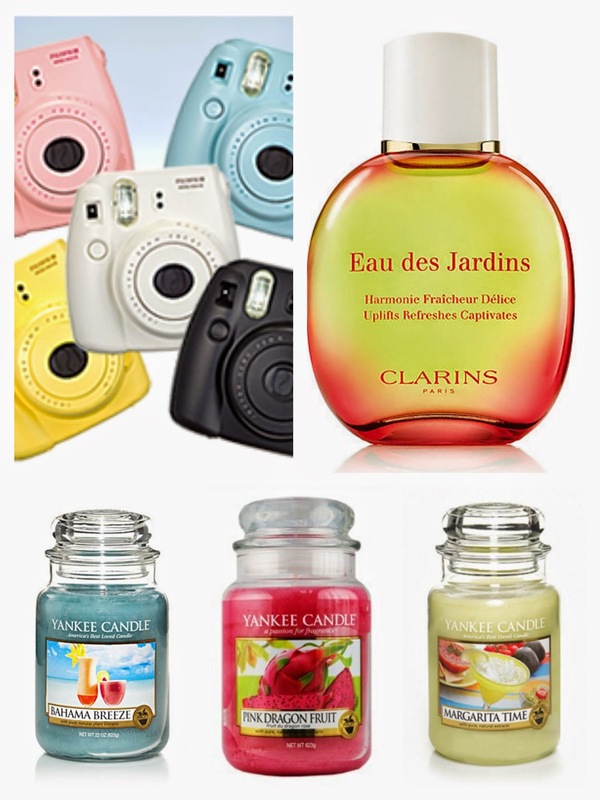 Favourite scents include raspberry, blueberry, vanilla brulee, glazed apple, moringa, satsuma, and honey. Anything from the Sorbet Salon Skin range. 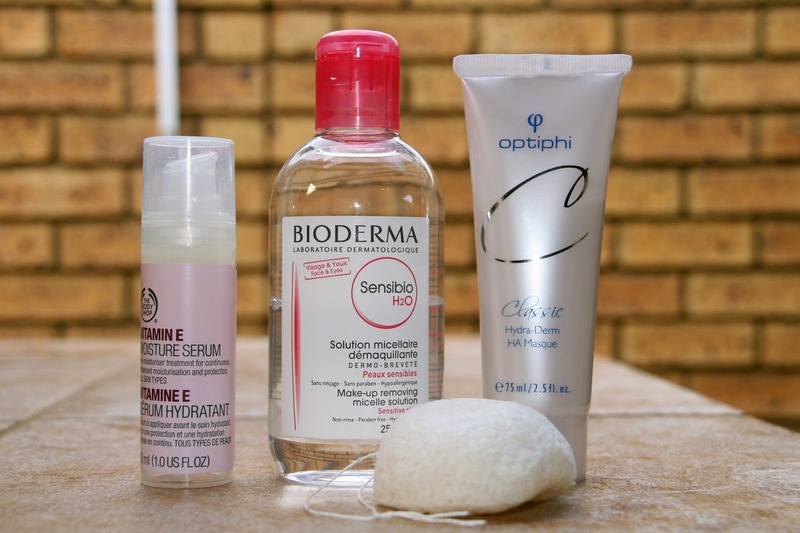 I especially have my eye on the Daily Skin Polish Powder (R220), 3-in-1 Cleansing Oil (R130) and the Thermal Rescue Masque (R110). I like pastel nail polishes, "fruity" coloured nail polishes and blues and purples. Oh and I am besotted with anything pineapple, flamingo, or palm tree. I can't get enough of the tropical trend! Aaaaaaaaand I'm back! I hope you all had a blessed festive season and that you came back from holiday recharged and ready for 2015. My Christmas holiday was very relaxing and I think it was just what the doctor ordered. The weather in Cape Town was lovely and we did a lot of outdoorsy things. I came back recharged and (kind of) ready for the new year. As mentioned in my last post of 2014, the beginning of this year is going to be tough for me, so I am glad for the bit of relaxation. For my first post of 2015 I thought it would be nice to look back on the year that was in terms of beauty products and makeup. I love reading posts or watching videos where my favourite beauty bloggers take me through their makeup and beauty product favourites of the past year. I always make lists throughout and end up with a nice big shopping list, oops! After reading All Dolled Up's alternative way of going about this yearly ritual, I thought I would follow suit. 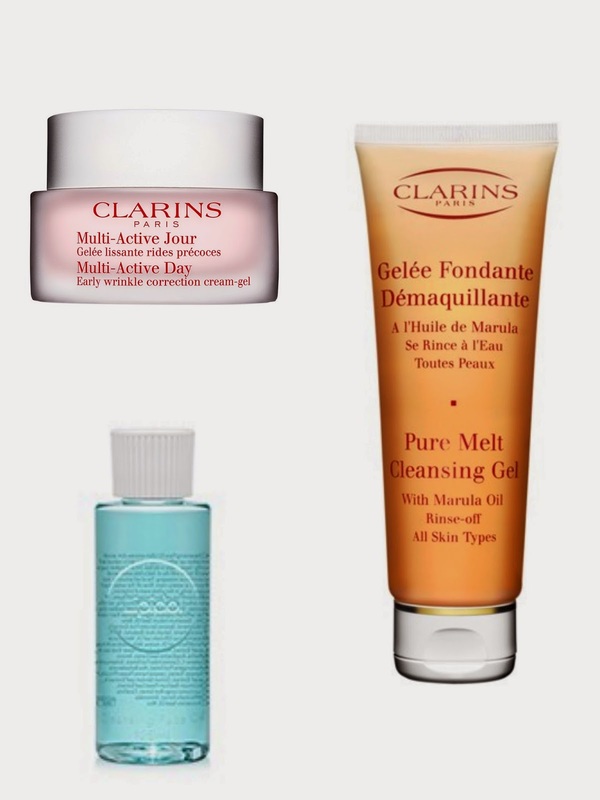 Instead of having set categories that sound like an Oscar ceremony ("And the Oscar for best nighttime cleanser goes to…"), they made a list of their Top 10 discoveries of 2014. My list is a bit longer than ten, so let's get started, shall we? As far as serums go this might not be the best quality as far as ingredients go, but as far as affordability and travel friendliness, it's a winner in my book. I am almost finished with my third bottle and will continue purchasing this. This is the makeup remover of all makeup removers. No wonder the whole beauty world raves about it! It feels like you're applying water to your skin with a cotton pad, but it takes off all your makeup, even stubborn waterproof mascara! It doesn't sting my eyes and is sometimes used on its own on nights when all I want to do is flop down into my bed. I have used a couple of sink-in moisture masks the past year and this one is my favourite. 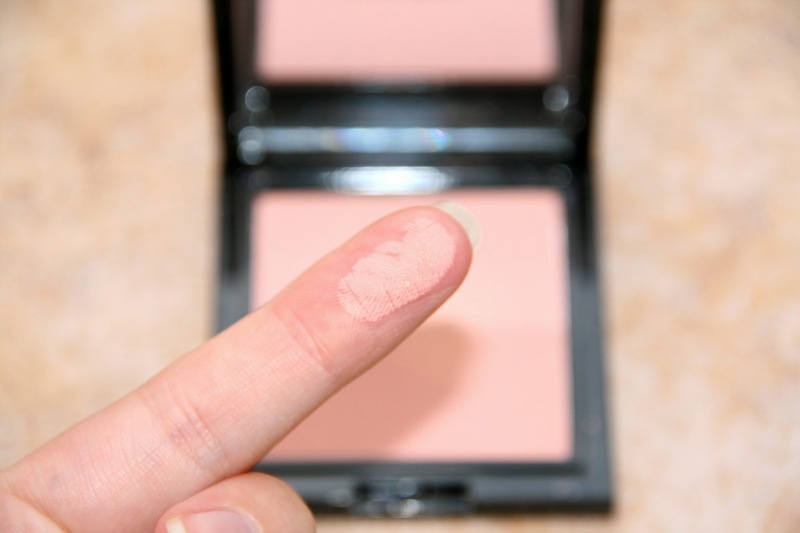 It's rich and creamy without being thick and greasy and it sinks into the skin beautifully. This nifty little sponge is made of vegetable fibres and grows bigger when you put it in water. It can be used with or without cleanser to remove dirt and grime from your face, giving your skin a massage in the process. After using it you rinse it, squeeze out the excess water, and hang it up to dry. I love using this in the mornings with a gel cleanser. I have raved about this numerous times and not without reason. It is hands down the best cleanser I have used this past year, done. It's good for both a morning cleanse and a night time cleanse, but I prefer using it at night with a hot cloth. It's an expensive day cream, but it is worth every cent. It's rich and creamy without being greasy and is very hydrating and easy on the skin. This bottle costs a grand total of R80 at Clicks and removes makeup (even waterproof mascara) effortlessly. I love using this at night with a hot cloth as a first cleanse. I've finished my first bottle and will definitely be repurchasing. My favourite shampoo/conditioner discovery of the year. It's sulphate-free but still foams up nicely and contains lots of good stuff for your hair while leaving it clean and healthy. It really has done wonders for my hair and I will continue repurchasing it. I apply this oil to the lengths and ends of my hair after blowdrying it about 80% dry. After applying it I continue blowdrying my hair and it leaves my hair soft, silky, and shiny. It protects the hair against split ends and makes it impossibly glossy and smelling lovely. My beauty "gadget" of the year is the Invisibobble. I have long hair and I tie/untie/tie it about a hundred times a day. This nifty little bobble doesn't break your hair, nor does it leave that dreaded kink. It also doesn't snap nearly as quick as normal "rekkies" and in the 10 months I have used them I've only snapped two. I have Invisibobbles everywhere so that I'm never without it. In fact, I have one permanently attached to my wrist if it's not in my hair! This is my favourite CC cream of the year. It comes out of the tube grey, but adapts to your skin tone as soon as it comes into contact with it. It covers red areas (which I struggle with), and on good skin days and holidays you can wear it on its own. It buffs in nicely and doesn't settle into pores. Garnier Pure Active BB cream in "Light"
On the BB end of the scale I have always been a fan of Garnier. Each BB cream they launch feels like it's better than the last. The Pure Active BB Cream is targeted at us oily-skinned gals and contains 2% salicylic acid to keep blemishes and spots at bay. It smells fresh and clean and buffs into the skin beautifully. Smashbox Brow Tech To Go in "Taupe"
I have always been scared to death of doing my eyebrows for fear that I will end up looking like Frida Kahlo. The Smashbox pen-style applicator makes doing your eyebrows as easy as colouring in. The one end is a twist-up slanted pencil that is not too buttery and not too hard, and the other end has a tiny spoolie and brow gel. Genius! 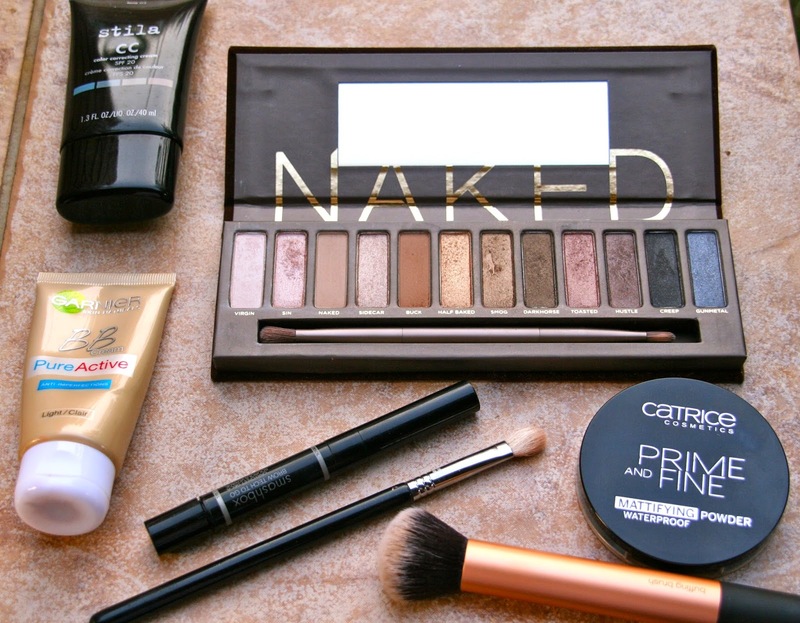 My favourite eyeshadow palette of the year, and also the one product on the list not available in South Africa, is the Urban Decay Naked I palette. Rarely have I come across such buttery and pigmented eyeshadows. The colour selection is exquisite and it comes with a good double-ended brush and eyeshadow primer potion samples. Definitely worth the splurge. I don't have a Mac 217 brush to compare it with, but I do love this E25 brush. It's just the perfect brush for blending eyeshadow and I'm considering getting a spare one. This is probably my most used brush of the year. It's excellent for pretty much any type of foundation or BB/CC cream. It buffs the product into the skin with no unsightly lines or streaks. I fell head over heels for this nail polish shade. It's a blue-toned medium pink/purple and looks amazing on both nails and toenails, tanned or pale skin. 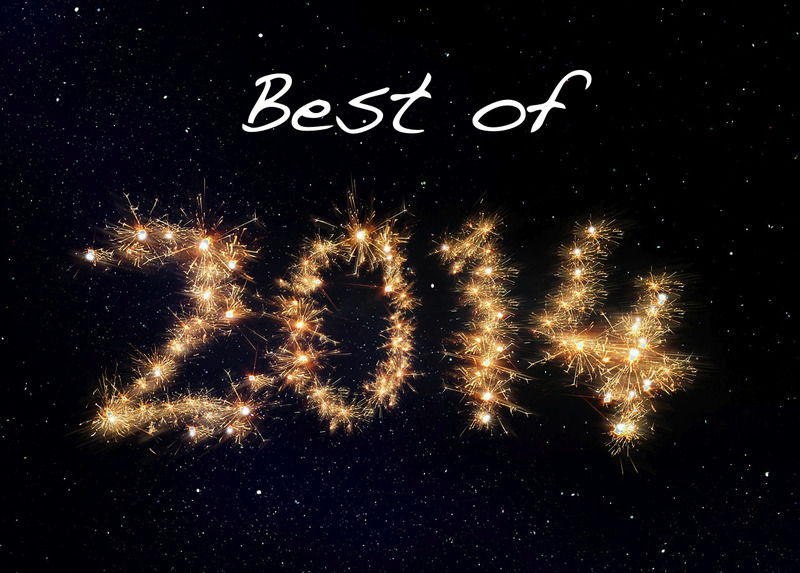 What were your favourites of 2014? Let my know in the comments section!